We tend to take clean, safe drinking water for granted. We tend to take clean, safe drinking water for granted. We turn the faucet on and there it flows. Water Works traces water from its source to faucets, and shows the challenges to our water supply like aging infrastructure, drought and pollution. 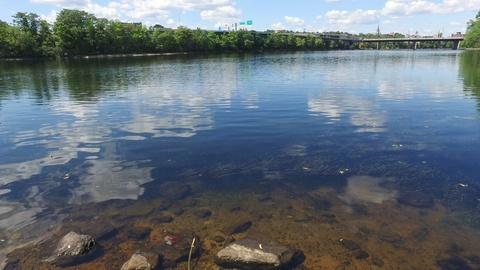 It also examines what's being done to address these issues and how to keep clean water flowing in New Hampshire. Epping Well and Pump Company, Inc.
Stacey Herbold from NH Department of Environmental Services. Water Works traces water from its source to faucets. Henry DeBoer of Epping Well and Pump. NH Drought Monitor Provides up-to-date information about the hydrologic conditions in NH. Streamflow maps, hydrographs, groundwater levels, resevoir levels and more. NH Department of Environmental Services - Water Division You will find everything you need and want to know about water in NH here! NH Project WET (Water Education for Teachers) Educational resources are correlated to Next Generation Science Standards as well as Common Core and other state and national standards. NH Water Works Association This professional organization focuses on the issues faced by municipal water systems and other water suppliers. Project WILD This NH Fish and Game site is a supplementary wildlife education curriculum available to classroom teachers who participate in a six-hour workshop, activities focus on wildlife and are interactive and interdisciplinary. Rain Gardens UNH Cooperative Extension has lots of tips and designs to help you create your own rain garden. Soak Up the Rain – NH Information and resources about creating a NH rain garden! 71 percent of the Earth’s surface is covered in water, but not all of that water is available for human consumption. 96.5 percent of that is salt water found in the ocean. That leaves only 3.5 percent for fresh water! Of that, 68 percent is frozen in glaciers, icecaps and snow; 30 percent is in the ground and 1 percent is found in rivers, lakes and streams. With such a small percentage of fresh water available for human use, it is critically important that we keep that water clean and fit for human consumption, recreation, and agriculture. Most of us that use a municipal water supply take the fresh water we access in our homes for granted. We turn on the tap and out comes clean water that we can use for drinking, bathing, cleaning, and cooking. We rarely think about where that water came from, how it was treated or how it traveled from its source to our home. Others of us rely on wells for our water supply. Unlike water from municipal sources well water is not treated, it is up to the homeowner to insure that the groundwater they use is safe for drinking! Most of the ground water in wells comes from rain and snow melt so it will carry any pollutants that the water picks up from the ground like fertilizer, automotive oil, and insecticides. Groundwater may also be contaminated by natural elements like radon, arsenic, boron, and selenium and other minerals. Water Works looks the sources that we tap for our water, how the infrastructure of water delivery to our homes works and the challenges we face now and will face in the future in insuring that we have a safe, clean, and reliable supply of fresh water. It is not unusual for people not to know where their water comes from and what safety, structural and environmental issues impact their local water supply. The following questions may help students learn more about the water they depend on in their community. What is the source for water in your school? In your home? 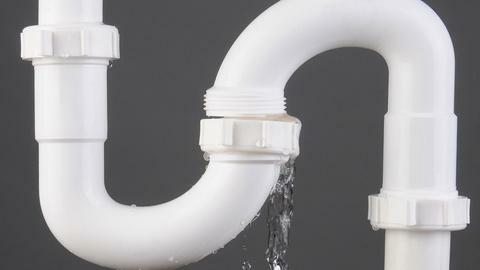 Who is responsible for insuring the quality of water to your school? To your home? What is your local watershed? How is it being protected? What are some pollutants that might contaminate your local watershed? What are some of the sources of water pollution in your community? What other communities share your watershed? Are there areas at your school that might be causing runoff to local water source? In your home? What agency in your town handles water? What is the status of your local water infrastructure? What are the components of your local water infrastructure system? What are your community’s plans for maintenance, improvement, and/or replacement of its water infrastructure? What is the cost for maintaining your local infrastructure? Has your community voted recently on your water infrastructure? 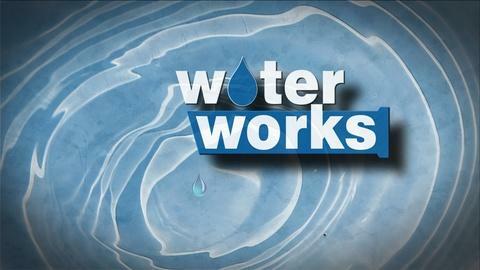 Is your community currently facing water issues? What can citizens do to protect the water in their communities? 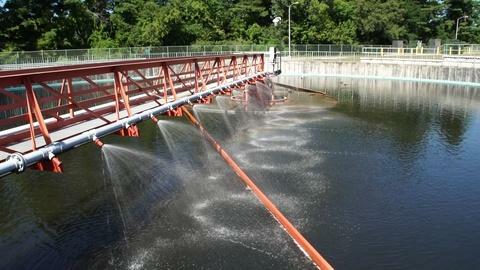 Why is treating waste water important? What would happen if waste water was not treated? Water.org - Lesson Plans This non-profit, founded by Gary White and Matt Damon, is focused on global water issues. You will find an education section with lesson plans and activities for K-12. Drinking Water Activities for Students and Teachers You will find interactives, lesson plans and activities for grades K-12 at this site from the EPA. Project WET (Water Education for Teachers) is an interdisciplinary environmental education program which utilizes water as its theme. In New Hampshire, the program focuses on providing formal and non-formal K-12 educators with water education training and materials which can be used to promote awareness, appreciation, knowledge, and stewardship of water resources with youth. Learn more on Project WET’s standards page. DiscoverWater is Project WET’s free interactive water education website. It includes not only engaging games and activities that teach kids about water but also downloadable resources for educators and parents. The Incredible Journey activity shown in Water Workscan be purchased as a digital download. Water Sense This voluntary partnership program is sponsored by the U.S. Environmental Protection Agency (EPA), provides labels for water-efficient products and resources for helping save water. A companion WaterSense for Kids site includes ways kids can save water, an interactive water-saving game and a section for educators. Surf Your Watershed You can use this online form to find you local watershed and discover who is working to protect it, get water quality stats, find science in your watershed, look at water use data and lots more. USGS Water Science School This site from the US Geological Survey includes sections on where all the Earth’s water is, the properties of water, water events like droughts and floods, water use, and lots more. There are sections on surface water and ground water, a water cycle section for kids and adults, a section for teachers with opinion surveys, printables, quizzes and lots more. Climate Kids – NASA’s Eyes on the Earth This site for kids includes games, interactives, and facts about climate, including a look at ground water and surface water. Water and My World This site for kids from the National Institute of Environmental Health Sciences (NIEHS) looks at water and health including how the body uses water, how to keep water clean, and why water is so important. Sustainable Water Infrastructure This site provides information on building and maintaining sustainable water infrastructure and includes the latest in regulations and water news. Water Sense This voluntary partnership program is sponsored by the U.S. Environmental Protection Agency (EPA), provides labels for water-efficient products and resources for helping save water. Envirofacts This site from the EPA lets you enter an address, zip, city, county, water body, or park name and get environmental facts about the location. You can also do a topic search and find reports on everything from microbial levels in water systems serving 100,000 or more people, public water systems and their violations of EPA's drinking water regulations, and the status of local Super Fund Sites. Drinking Water This site from the Centers for Disease Control looks at public water systems, bottled water, private water systems, and a guide to household drinking water. Soak Up the Rain: Rain Gardens You will find information about creating a rain garden at this site from the EPA, including a “What to Plant” database for your state. This collection of teaching resources from PBS LearningMedia are aligned to national standards and includes video, audio, lesson plans, interactives and background information dealing with water and how we get it and use it. Water - Sesame Street Jump in to this tune all about water! Explore the various uses and importance of water as a resource. Everyone Needs Water - Sesame Street This music video explains and demonstrates the importance of water. Discover the strategies you can use to help preserve the planet's water supply! Follow the Water Ella and her dad, Mike, track the path of melting snow on a warm winter day, in this video from PLUM LANDING. They follow it out of their driveway, to a small brook, through a tunnel, and eventually all the way to the ocean. On their journey, they discover how water carries trash and pollution with it. The Sun and The Water Cycle Learn about the stages of the water cycle as powered by the Sun through this adventure of two inquisitive sisters in “The Sun and the Water Cycle,” a story offered by NASA Solar Dynamics Observatory Outreach. Older sister Sofia helps younger sister Marisol understand how water cycles above, on, and through the earth constantly and all over the globe. This story includes a review of water as a solid, liquid, and gas as well as a glossary and labeled illustrations. Earth to Blorb: Water! Learn about the water cycle and the age of Earth's water supply (it's really old! ), in this video from PLUM LANDING. As Plum explains in this video postcard, there is no new water being made on the Earth—water is constantly reused through the water cycle—meaning that the water that we drink is the same water dinosaurs drank millions of years ago. NASA - The Hydrologic Cycle Water continuously travels between Earth's surface and the atmosphere via the hydrologic cycle. Water is perpetually recycled through five main processes: condensation, precipitation, infiltration, runoff, and evapotranspiration. In this interactive resource adapted from NASA, explore the steps of the water cycle. Dancing the Water Cycle - Dance Arts Toolkit Physical education instructor Rick Carr and science teacher Shelby Ison co-teach a lesson in which intermediate students create a dance demonstrating the water cycle in this video from the Dance Arts Toolkit series. This lesson is intended for teacher use, to demonstrate how to teach creative dance and curriculum integration. Louisville Water Company: Tunneling for Water Produced by Louisville Water Company, these four videos for grades 4-6 document the creation of four wells and a mile-long tunnel that use riverbank filtration to supply water to homes and businesses. Earth Water Filter Designing a filter that turns black, salty, muck into drinkable water is a tall order. In this video segment adapted from ZOOM, cast members take cues from what they know about natural sediment filters—the kind that produce underground spring water—and use similar materials to create their own mini water filters. Water Treatment Plant In most parts of the United States, getting clean, safe water is as easy as turning on a faucet. Generally, this water comes from either groundwater or nearby streams and reservoirs. What most of us never see or have to worry about are the steps required to make this water drinkable. In this video segment adapted from ZOOM, cast member Noreen finds out how a water treatment facility in Cambridge, Massachusetts purifies its city's water. You Can Lead a Kid to Water - Youth Radio This multimedia resource can be used to educate students about the importance of safe drinking water to one's health, and the effectiveness a government law can have on everyday life. Youth Radio's Sayre Quevedo reports on the new California state law that requires public schools to provide free access to fresh water. Quevedo investigates the condition of his school's water supply as well as local student opinions on this issue. Water - Liquid Awesome - Crash Course Biology Hank teaches us why water is one of the most fascinating and important substances in the universe. Learn about water's molecular structure, cohesion and adhesion, the life of Henry Cavendish, and many more significant aspects of life's most amazing compound: H2O. Water and Classical Civilizations - Crash Course World History Join host John Green to learn about water. People cannot live without water, which means it's absolutely necessary for civilization. In this episode, John talks about water in the context of classical civilizations, but not those of Greece or Rome. Instead, we'll explore the Maya civilization in Central America and the Khmer civilization in what is now Cambodia. Water Quality - Urban Runoff Farms get a lot of the focus but urban areas contribute their fair share of water pollutants too. The hydrologic cycle, or the water cycle, is the process by which water is transported from the land surface into the atmosphere and then back down to the land surface. Well Digging Model How does water move through Earth’s layers? Use the model templates to explore the differing permeabilities of different sediment types, drill wells into model landscapes, explore the difference between confined and unconfined aquifers, discover how water moves around gaining and losing streams, and explore the difference between rural and urban area aquifers. Create your own landscapes to test ideas about water movement and sustainability of wells. Use the graphs to measure the amount of water from each well and monitor the level of water in streams. Ralph's Well Goes Dry August 24th was the day that the well officially went dry. You can't blame the farmers. Farmers are doing what farmers do. Nobody guarantees that you're gonna have water for an eternity when you put a well in. Conserving Water at Home Humans depend on freshwater for drinking as well as for domestic, agricultural, and industrial uses. Careless and wasteful use of this renewable but high-demand natural resource contributes to water depletion. This video segment adapted from Last Oasis details some state and local water-conservation initiatives designed to help conserve water in the U.S.
New Contaminants in the Water Supply This video segment adapted from FRONTLINE: "Poisoned Waters" explains how the Potomac River, like many others, serves as both a drinking water supply and a dumping ground for wastewater. With proper processing, this system works well. However, water treatment removes only known contaminants; there is a growing concern about "new contaminants," chemicals in the water that are still unregulated but could cause harm to humans and animals. Water Solutions These two sets of eight videos explore how to prevent and mitigate non-point-source water pollution. The first set (for grades 4-12) focuses on Bernheim Arboretum and Research Forest, located near Louisville, Kentucky, and how its "green" Visitor Center helps protect and conserve water. 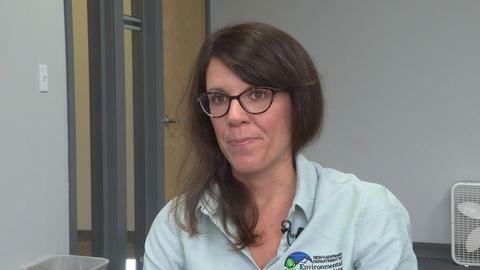 The second set of videos (for grades 6-12) focuses on the problem of acid drainage from abandoned Kentucky coal mines. Water Quality - Hydrology The hydrologic cycle, or the water cycle, is the process by which water is transported from the land surface into the atmosphere and then back down to the land surface. 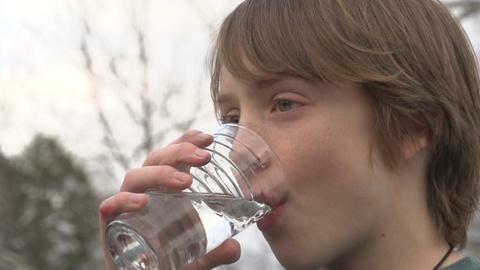 Liquid Assets - A Water System Learn how New York City's drinking water travels from watersheds in upstate New York in this segment from the WPSU documentary Liquid Assets. Water Quality - Watershed The land that carries the water you use to a water body is called a watershed. A watershed is also known as a drainage basin because it is land that allows water to drain to marshes, streams, rivers, lakes, or to groundwater. Liquid Assets - Wastewater Learn how water contaminated with raw sewage can be purified in this video from the WPSU documentary Liquid Assets. Waste Water Recycling | Fresh Solutions Did you know you can recycle waste water? In this video, we'll explore how new technology is helping homes and businesses recycle both greywater and blackwater to reduce their overall water consumption. How Do We Meet the Growing Need for Water? - Fresh Solutions How will we meet our water needs in the future without harming the environment? In this video, we'll explore key water issues, the water cycle, and some of the technology and techniques used to conserve water. Recharging Aquifers - Fresh Solutions Did you know there are thousands of gallons of water right under your feet? Underground aquifers provide us with the water we use everyday but we're using these resources faster than they can naturally replenish. Water Treatment Technician Tour a water desalination plant, where brackish water (a mixture of freshwater and saltwater) gets turned into pure freshwater in this video adapted from ATETV. Plant worker Michael Poitras, who started working at the plant as a community college intern, describes the filtration process that progressively removes salt and other impurities from the water. He also explains the coursework needed to prepare for a job in a water treatment plant, and how the desalination process can be used in other parts of the world, especially in highly populated areas where freshwater drinking supplies are depleting. Water Resource Management Environmental engineering professionals explain the importance of water resource management for consumer safety and sustainability. They also describe the many applications of the water resource management career track and education pathways for students. Water Resource Management: Background for Educators Water Resource Management career professionals will help teachers understand this career path, and how to help interested students prepare for post-secondary education. The video also offers teacher tips, discussion suggestions, and additional resources. Rain Gardens This video shows how a rain garden at Bernheim Arboretum and Research Forest near Louisville, Kentucky slows down the flow of water from the forest's parking lot and helps prevent soil erosion. Catching the Rain Environmental engineers in North Carolina are working to keep polluted water from running directly into streams. In particular, they are installing rain gardens in residential neighborhoods so that polluted water will be able to filter through the earth, rather than running off and setting a direct course for the ocean. Earth Space Science 3-4 S:ESS1:4:1.1 Explain how water exists in the atmosphere in different forms and describe how it changes from one form to another through various processes such as freezing, condensation, precipitation and evaporation. Earth Space Science – 7-8 S:ESS1:8:7.1 Describe how water flows into and through a watershed, falling on the land, collecting in rivers and lakes, soil, and porous layers of rock, until much of it flows back into the ocean. Earth Space Science 9-11 S:ESS1:11:7.1 Explain that water quality can be affected positively or negatively by outside sources. Science Process Skills - 9-11 S:SPS3:11:3.1 Analyze environmental issues such as water quality, air quality, hazardous waste, and depletion of natural resources. S:SPS3:11:3.2 Evaluate status of a local community system (transportation, water, communication, food resources or electrical) in partnership with local officials. Geography – Grade 5-6 SS:GE:6:5.1: Understand the consequences of human modification of the physical environment, e.g., coastal development or forest management. SS:GE:6:5.2: Examine the role of technology in the human modification of the physical environment, e.g., work animals or electrical production. SS:GE:6:5.3: Appreciate how characteristics of different physical environments provide opportunities human activities or place constraints on human activities, e.g., winter sports tourism or annual flood patterns. SS:GE:6:5.4: Assess why people have different viewpoints regarding resource use, e.g., water rationing or recycling.